Cats call no one “master” — and this can prove difficult when traveling. Unless you’re OK with keeping your cat in a small kennel for the duration of your travels, it’s wise to invest in a comfortable space for both you and your cat — especially your cat, as they’ll want nothing more than to flee if they’re confined to a small space. This means all public transportation is out of the question, and possibly your car if it’s a small space. RVers with cats , however, live the travel blogger dream. There is no specific RV that caters specifically to cat owners, however, there are ways to cat-proof your RV for the long drives ahead. If your RV contains any sort of furnishing that will fray and tear when being pawed at, throw down some old blankets or a cover that will prevent the interior from being ruined, providing an attractive and comfy barrier upon which your cat can lounge in the sun and glare at any passer-bys. Give your cats plenty of toys and scratching posts that they know they’re allowed to use, and move them to those when they’re scratching something else. You can also purchase nail caps to cover your cat’s claws. These nail caps can be purchased in bulk for roughly $10 and will last 2 to 4 weeks. Reliable internet – your blog remains stagnant without it. A quality camera – blogging is about personality and photographs give readers that glimpse into yours. Social media – a blogger is nothing without their readers. Social media can bring in a larger network of readers. Skype – you’re on the road, interviewing industry professionals and famous faces can provide fantastic content. This also can prove useful when coordinating with any potential clients that want to be involved with your blog. With the oversaturated blog market, it’s unlikely you’ll gain exposure solely on hashtags and sharing on social media. The best way to bring more traffic to your blog is by writing for other websites and magazines and linking your blog within the author bio. This may seem like a near impossible feat, especially if you’ve never been published before, but it’s merely having an original idea and confidence in your work that gets you published. When reaching out to online publications, it’s as simple as looking over the “write for us” guidelines on the website and contacting them based on those guidelines. With so many online publications nowadays, it’s a lot easier to get published digitally than in analog publications. The only downfall, however, is that most of these online publications don’t pay, but they will give your blog exposure as a trade. Physical magazines will take a bit more finesse, as it often pays and is therefore more competitive. When you query the editor of a magazine, it’s important that the article topic reflects the style and topic that the readers of that magazine have come to expect. For travel writing, find a magazine that covers that part of the world you’re in. If you’re in the southern United States, for example, find a magazine that covers topics on the deep south. Another great way to get your kitty blog more attention is bringing that attention straight to your competitors. Not shoving your clawsome blog stories in their face, per se (save the cattitude for your articles), but by sharing their blog posts on your social media and showing support of their blog by donating or encouraging others to donate to them. 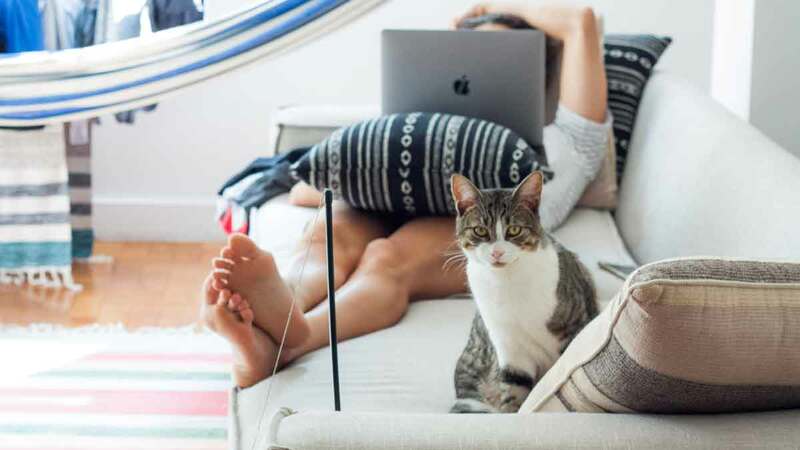 This may result in them returning the favor, or collaborating with you, which is a big win, especially if they have a ton of subscribers — because the world will never have enough cat blogs.